Rough Creek Lodge is a really huge venue and space for a race. 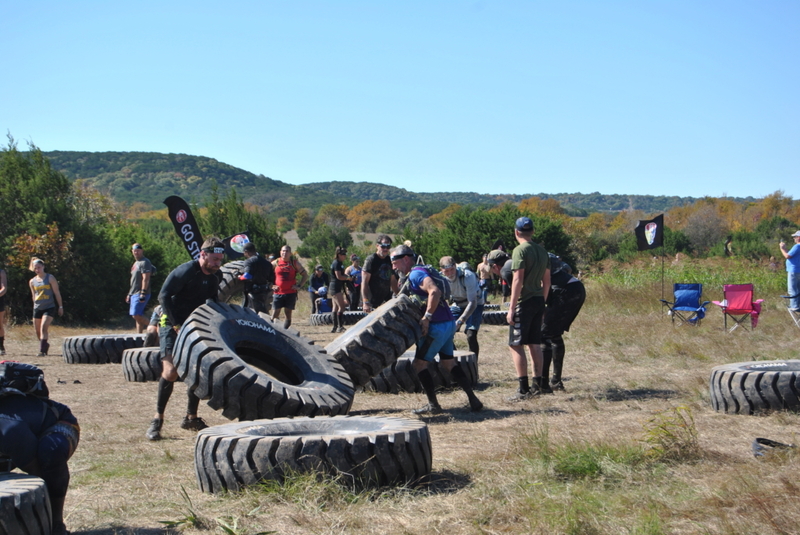 I had not been to a Glen Rose Spartan, nor had I ran a Spartan Beast before. I honestly had no clue what I'd expect from both aspects. The venue and race will be a place I plan to continue going to for time to come. The venue itself was well laid out, and the Village area had a lot of good content for people to enjoy. I think I need to stop signing up for races this fall season – each race I’ve done has been hailed one of the muddiest versions of a course to date. Rough Creek Lodge was no exception to this, and the mud was thick and bountiful with plenty of it to cake everyone’s shoes. Whoever is paying tribute to a Rain God with dances can let Texas rest – we’ve gotten the rain and then some to make up for anything we didn’t get this summer. Side note – Don't race while sick! Something else to call out on the side – racing while sick is never a good idea folk. I know this seems like common sense. I thought a cough I had days before the race would just go away, and it didn't. My cough was so bad I had to move my sprint race to now another weekend. If you have to reschedule, let my example of how bad it slowed me down and cost my performance be an example. I was impressed by the military support that poured out. Operation Valor was a big staple to this location and had a big influence. For those that don't know of Operation Valor, you can check it out here and in another article done here. From their Gala, to their runners doing the Beast, from their tent, to most importantly their tribute to fallen soldiers. Everything was well planned out, thought out, and major kudos go to the Sean V. and his team of who run Operation Valor. Rough Creek Lodge in Glen Rose is a place known even outside of the realms of OCR, having deep and rich ties in with a Military History. 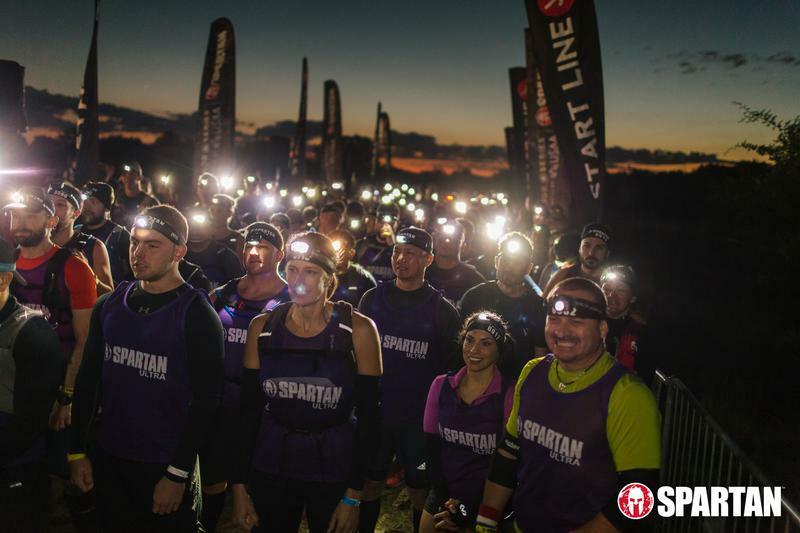 Spartan has evolved their races to include what they call “Honor Series” races, where there is more of a Military influence at these races at places with a deep military connection. For those who don’t know the history of Rough Creek Lodge should look no further than a story shared in theaters, American Sniper and the story of Chris Kyle. I want to highlight more of what Spartan does with their Honor Series. 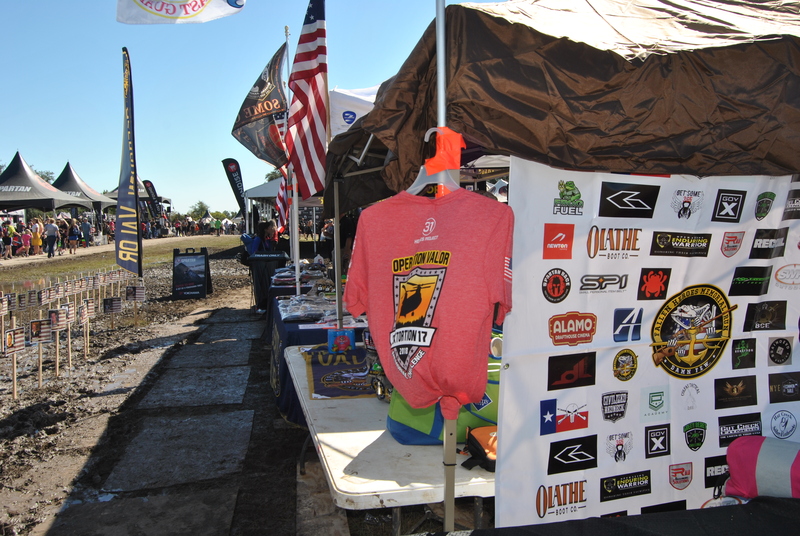 While a lot of other race companies occasionally have some form of military visibility at their village – Spartan takes it a step further to show support for the military community by doing races in places where our military train or where there’s that history. As a civilian myself, I find it humbling to do these sorts of course where there is such a history. I’m glad that Spartan is doing their best to bring more awareness, whether it’s a place of military training or otherwise. 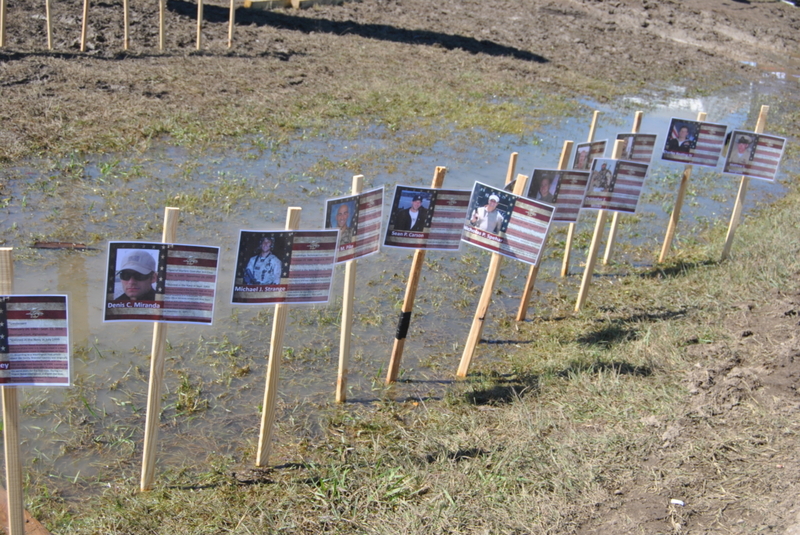 I’d be curious to see what other locations they add to branch out in the future and what other things they do to show their support for our military community. Course Antics – what can Mud do for you? This guy found the mud hole in bucket carry…. I know I’ve mentioned this – it was muddy. 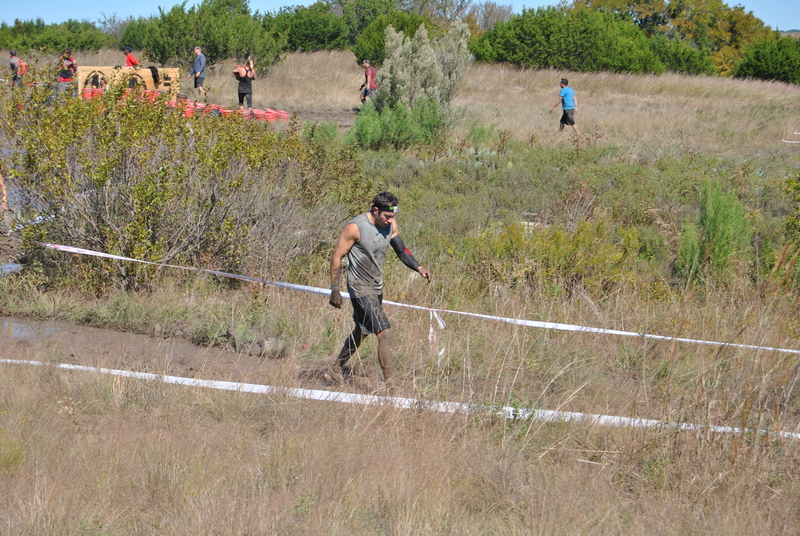 I wouldn’t say it was Tough Mudder Dallas muddy with all that slick mud for 10 miles, but I’d say it was certain about 80% of the course muddy. As an example, during bucket carry, my left foot found a hole so deep that from my knee lower was caked in mud when I had to clean up. Exhibit A – Failed Spear Burpees! Mud was also a good indicator of those who failed Spear throw. 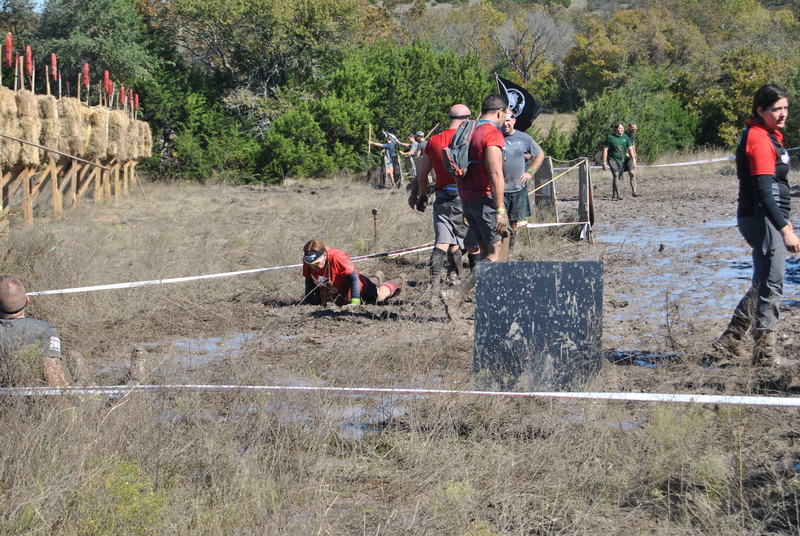 The finishers who had a chest, crotch, and leg covered mud, were those who did burpees at spear throw. Atlas Carry – some balls were so caked in mud and slick you couldn’t pick them up. Needless to say, mud seems to be a course theme this fall. 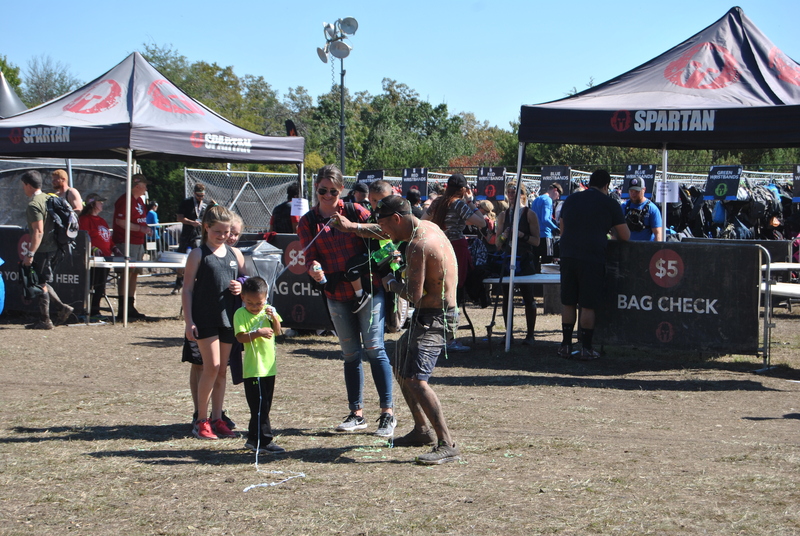 Being my first Spartan Beast, I wasn’t sure what to expect obstacle wise outside of some staples like Spear Throw, Olympus, Twister, rig, etc. I also tend to go in blind to races, and just figure it out. One piece of feedback related to Twister – never goes down the side with grips. I think I could have done Twister if I went for a lane without the grips, though all other lines had waited and probably for a reason. My hand got to the second grip in twister, and the grip on the bar literally fell off, causing me to fail. In my mind, I knew I should’ve known better, and let my 30 burpees and warning be of service to you – IT AIN’T WORTH IT! When I got to memory test, my cough for whatever reason was acting up to the max and I was already starting to struggle. All markers at memory test had ran out. We had no way of capturing this, but I still remember Mike 025-5788 being mine. I even came up with a line on how to remember it, “HI MY NAME IS MIKE AND MY NUMBER IS 025-5788.” By the end, I was sorta disappointed that we weren’t asked about this cause I was ready to scream my line. MudGear socks and Rope Traverses – gear matters. 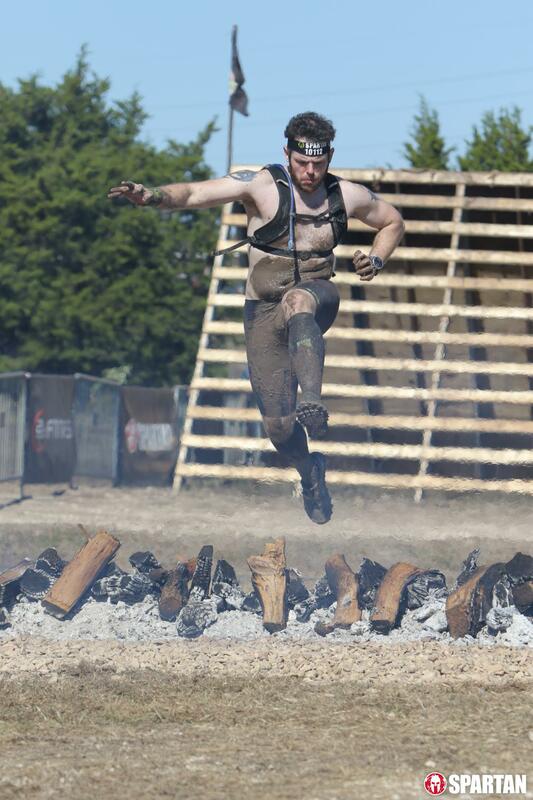 Another obstacle that we did, I was super glad I wore my long MudGear socks. Tyrolean Traverse, or more or less a rope traverse, would have been horrible and another burpee session if I hadn’t had my MudGear socks. I could ramble on forever about why these socks benefit us in this sport, but just go get yourself some pairs. They help for a lot for compression and protection of your legs. I was happy I was able to complete this obstacle – was it the hardest I’ve done? No. But did I feel accomplished for doing it? HELL YES, especially as I ran by people doing burpees. Table flipping was fun… wait, I’m confusing events here. Tire flipping was more fun! I didn’t realize just how heavy those tires were until after. 400-pound tire weight was insane. I’m surprised I was able to do this, and wish I had known the trick that those who did the pre-race session got. I won’t spoil the full technique here, but let’s just say you take it slow and easy putting it down. Credit goes to Spartan on this photo – so many Ultra Beasts Participants! There was a lot of Ultra beast runners all over the place as we started the beast, and all I can say is the general attitude we all had is one of my main reasons I love the sport of OCR. Among all of us beasting it up one way or another, there were tons of high fives, slaps on the back, and verbal encouragement. I love our OCR Family, our OCR Community for that reason alone. Through all of us, we push each other to move forward and I love that even among Elites, this happens. Burpees – I want 0 next time! 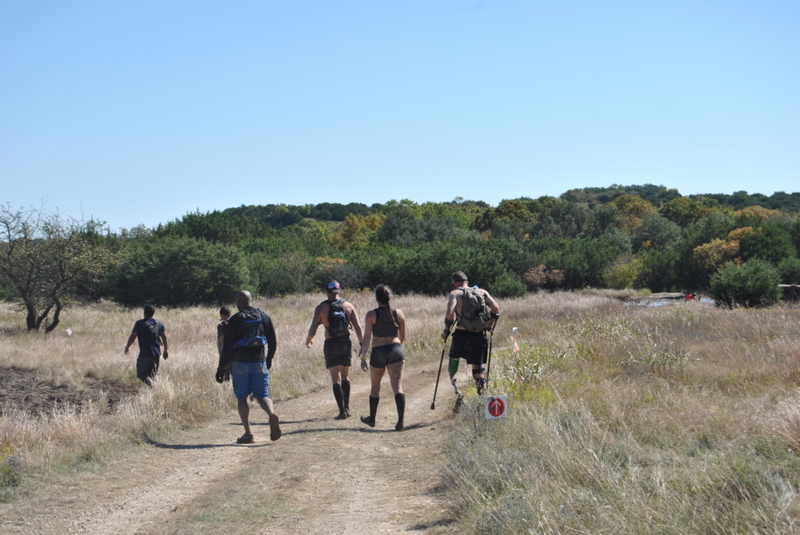 I was also very happy that Spartan does their best to keep people honest after failing to do their burpees. Especially among the Elite wave, I love that they hold us to that standard and how they enforce it. We can hope that they continue to do so in the future, and that the volunteers they get for this keep them to this standard. I did the 150 burpees, proudly, painfully, exhausting and was ready to stop. Like my peers, I didn’t. By the end of the race, I felt I earned my wristband and finisher that shows I did it the race as an elite participant. Rough Creek Ranch is a great location, and I’m so glad that they hold the Spartan there. After seeing so many do the ultra beast and seeing that belt buckle, I want it for myself. I think I can easily rate this race as a 5/5, despite there being the memory shortcomings, I felt the course was amazing, the obstacles were spot on as usual, and the staff was amazing and responsive. Despite some people hating doing burpees, I love that Spartan community does their best to keep it that way despite any backlash. Thank you for the shout out and very nice words Charles! I really appreciate you mentioning us and the work we do specifically at this event each year. It’s an honor and privilege that my team and I get to work with Spartan as well as the Kyle and Littlefield families to honor not only Chris and Chad, but all those that were taken from us in defense of our country.